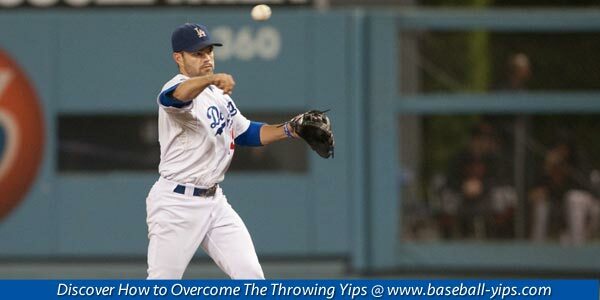 The yips can often be the toughest opponent a baseball player can face. 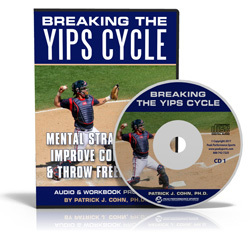 With the yips, you never know exactly what to expect every time you throw the ball. At least when you face an opposing team, you can scout them so you have some idea what to expect when the game starts. You know the opposing team’s starter’s pitching arsenal, go-to pitch, velocity and tendencies. Most baseball players are embarrassed to admit to having the yips and find the mental block to be puzzling. Throwing a baseball is one of the most basic and fundamental skills for every player. How is it possible to suddenly have such difficulty performing an action they have done with relative ease thousands of times? Related Article: Do You Have Throwing or Pitching Problems? Aaron Barrett was a 2010 draftee of the Washington Nationals and, soon after joining their rookie class affiliate in Vermont, Barrett came down with a bad case of the yips. Barrett was converted into a reliever due to his problems with control as a starter. Once he settled in the closer role, Barrett saved 26 games, posted a 2.15 ERA and compiled 69 strikeouts in 501 /3 innings at Class AA Harrisburg. With his improved accuracy, Barrett is hoping to land a consistent role in the National’s bullpen in 2016. How did Barrett overcome the yips? Barrett’s minor league manager Jeff Garber and pitching coach Franklin Bravo had Barrett take repetitions turning double plays at shortstop during practices. The speed of the double play reduces the amount of time you have to think about throwing the ball. 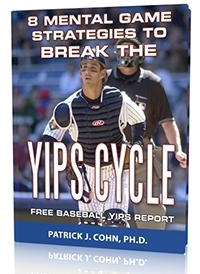 It is the overthinking that leads players to be trapped in the yips cycle. In essence, Barrett tuned out his “thinking” brain and relied on what he has trained himself to do from an early age… throw the ball, one pitch at a time. Now that Barrett has overcome the yips, he can focus on attacking the hitter instead of where the ball may end up. 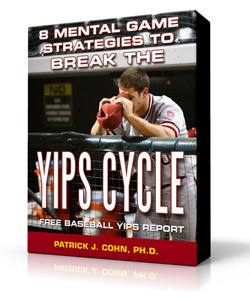 The mindset you choose will ultimately determine if and when you over the yips. Strategy #1: Arm yourself with attitude – Adopt a nonchalant attitude. Instead of worrying about the end result of your pitches focus on attacking the hitter. After the pitch, let go of the result and get ready for the next pitch. Strategy #2: Pitch swiftly – When you are in a groove on the mound, you take less time between pitches. The key is to pitch swiftly without rushing your mechanics.